Our revolutionary litter liners are designed to fit snugly, so they stay in place! Degradable plastic with elastic edging, and apple scent. Improved stitching – giving greater elastic hold to the liners! 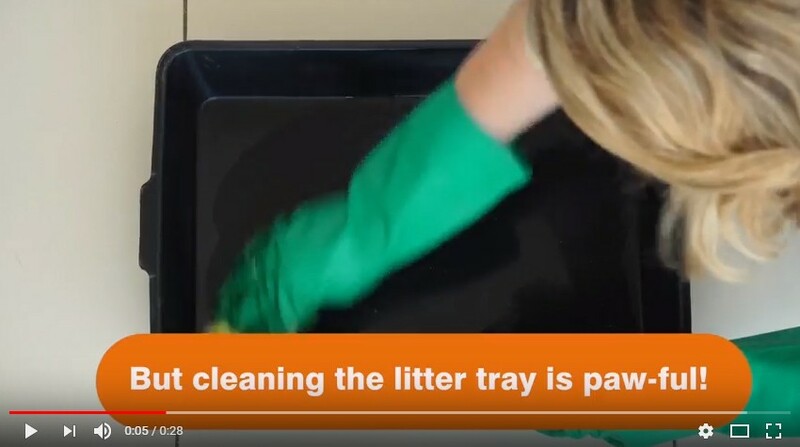 Simply open the Elasticised Litter Tray Liner, place around your litter tray and fill will clean litter. To dispose of the liner and waste, lift the liner from the edges, tie the bag at the ends and dispose of it in the bin. Q: What sizes are the Elasticised Litter Tray Liners available in? "Look, a girl like me likes to keep things clean, but it's tricky with the silly litter tray liners that slip off the end of the tray and end up in my mess! But not anymore with Rufus & Coco Drawstring Litter Tray Liners which fit snugly over the litter tray and have a fresh scent to help disguise any odors. Not that I am admitting to anything....."